Faith Community Nurse Blog - How to read food labels without being tricked! First and foremost, the front of the label on any food product is often used to lure or trick people into buying their product. False claims on the front label make people believe that the product is healthy. So then, what is the right way to determine if a product is healthy and/or organic? Look at the ingredients list. The first few ingredients are the largest part of what you will consume. Do the first few ingredients contain refined grains, sugar or hydrogenated oils? If so, you are probably going to eat something that is unhealthy for you. Is the ingredient list longer than 2-3 lines? Chances are, this product has been highly processed. Again, this is an indication that this product may not be as healthy as you thought. Looking at the calorie count is important as well. How many calories are in a single serving? Is one serving equal to 1 cup or the entire package? For people that are counting their calories, this is imperative to understand. 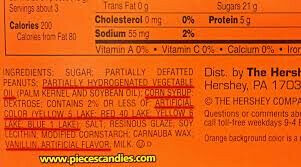 Avoid products using partially hydrogenated oil. This is not always easy to spot. Know these common culprits that contain partially hydrogenated oil and try to avoid them as much as possible: margarine, vegetable shortening, packaged snacks, pre-made baked foods, ready-to-use dough, fried food (french fries!) and coffee creamers. Products that are labeled "free from trans fats" doesn't necessarily mean it is. Some food labels claim "no trans fats", but when you read the ingredients you will find that they used partially hydrogenated oil, such as palm oil. It is important to note here that if a package simply lists "hydrogenated oil" in the ingredients without specifying whether it is partially or fully hydrogenated, it is probably partially hydrogenated oil (which is bad for you). You want your package to state "fully hydrogenated" (such as olive oil or grapeseed oil). Bottom line: Read the ingredients on the labels. Watch out for words such as partially hydrogenated oil, refined grains, sugar (glucose, corn syrup, sucrose) that are listed as the first couple of ingredients. Do not be tricked by the claims on the front of labels!